The Rockville-Montgomery Swim Club (RMSC) is one of the most successful age group and senior level swim teams in the United States. Located just outside Washington, DC in Montgomery County, Maryland, RMSC currently has over 80 coaches working with more than 1700 swimmers at 5 sites. RMSC is operated as a joint program between the City of Rockville and Montgomery County Recreation (MCR). Each of the RMSC sites offers a full program for competitive swimmers at every level from mini-team through national caliber. Our sites are located throughout Montgomery County in Rockville, Silver Spring, Bethesda, Olney, and Germantown. Click on the practice sites link for more information on the programs, practice times, coaches, directions, and contact information at each site. RMSC has produced thousands of high quality swimmers and numerous national age group record holders. RMSC’s Alumni have gone on to be Olympians as well as champions at the NCAA and international levels. RMSC was formed in 1968 by Bill Bullough and his longtime friend Jim Williams. In its early years, RMSC, was based solely out of the Rockville Municipal Swim Center (now known as the Rockville Swim and Fitness Center). In 1980 the team added the Martin Luther King Jr. 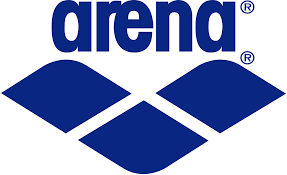 Swim Center, and in 1989 the Montgomery Aquatic Center (now known as the Kennedy Shriver Aquatic Center) was opened giving the team their 3rd practice site. 1994 brought the addition of the Olney Swim Center and in 2005 the Germantown Indoor Swim Center was opened. During the early years RMSC was fortunate to have many key people help it grow while creating the principles which continue to help it flourish today. Many of our coaches came up through the program and therefore understand what RMSC stands for as well as the innate ability to hold the team and its core values close to their hearts. The continuity from the core coaching staff gives us a vital understanding of leadership from site to site allowing us to operate as one team. RMSC, unlike for-profit clubs, was founded on alternative principles. The club meets the ideal of a public recreation program; accepting all levels and abilities, not only the elite swimmer. The advantage is the offering of developmental and instructional programs (SwiMontgomery, Montgomery Stroke and Turn Clinic) that prepare children for the RMSC program. While working with committed leadership and the understanding that the goals can be compatible, RMSC has integrated public recreation principles and a national level competitive program with exceptional success. Each RMSC site offers a full program for competitive swimmers at each level. The program is divided into two seasons; Fall/Winter (Sept. – Mar.) and Spring/Summer (Apr. – Aug.). The fees for the seasons include USA Swimming registration and meet entry fees. Financial Assistance is available through both the City of Rockville and Montgomery County Recreation. RMSC encourages parental participation by offering discounted fees for parents who volunteer for the program. The benefits to the City of Rockville and Montgomery County Recreation are vast and include (1) a successful after school youth program that engages over 250 children at each site; (2) a healthful, supervised and disciplined activity; (3) utilization of non-prime pool times and space when other activities may not be successful; (4) fees charged that will offset costs for pool time, coaches’ wages, and program operating costs; (5) a sense of community through shared participation. Our mission is to provide swimmers access to developmental and competitive stages. To have a nationally recognized program that teaches and trains all levels of swimmers, emphasizing individual progress, team unity and family participation. RMSC is committed to excellence and dedicated to developing world class citizens and world class athletes. USA Swimming has designated the Rockville-Montgomery Swim Club as a 2018 Silver Medal Club. By virtue of both outstanding athlete performance and organizational excellence RMSC was designated as a 2017 Silver Medal Club. The Silver Medal designation is an exceptional accomplishment for RMSC. The club achieved Gold Medal status from 2010-2013 and Silver Medal from 2014-2018. RMSC Swimmer breaks Venezuelan National Record.